Chelsea scraped past Swansea City at Stamford Bridge tonight, as a first Blues goal for Antonio Rudiger saw the home side beat the Swans 1-0 in west London. The only goal of the game came in the 54th minute, after a shot from N’golo Kante was deflected onto the head of Rudiger, who applied the finish to score his first goal for the club. Chances were few and far between in the game, with Swansea ‘keeper Lukasz Fabianski doing well at times to keep the score at 1-0. Following their somewhat lacklustre performance, some Blues supporters were a angry with the way their side played. What a horrible 45’ of football. The crowd is flat, poor atmosphere. Chelsea are stuck in third gear against a side that do not have any shots in this game. Thank god for that; Chelsea were poor … but Swansea were desperately poor. FT Chelsea 1 – 0 Swansea. What a poor game…Terrible performance from Chelsea. but WOW how the hell do we won that game LOL. Really crap chelsea side when they're playing without Hazard…Such a 1 man team, sad to say ! Striker’s instinct from Rudiger, a position he knows very well from his youth days. FT: Chelsea 1-0 Swansea. Rudiger. 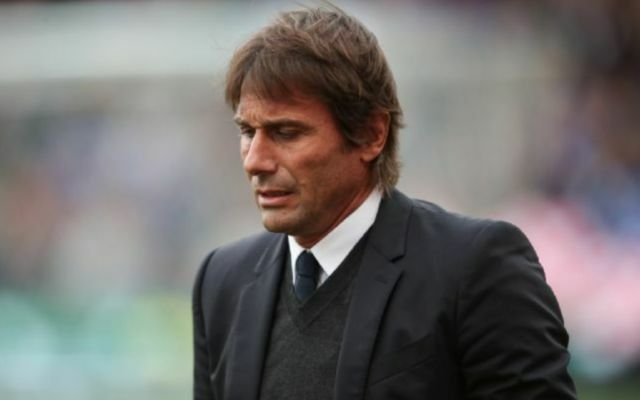 Conte rotated, and got the points. Then he was rotated himself: sent to the stands by Neil Swarbrick. Not a classic. But job done.